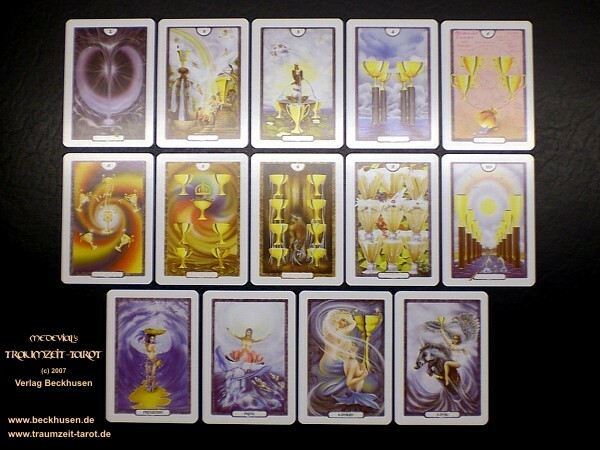 A wisdom- and prophesy-oracle with 78 cards, painted by Stefan Beckhusen. 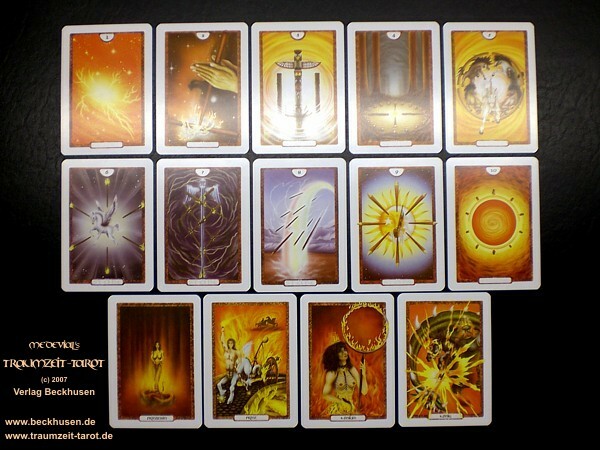 In the TAROT the element Fire is represented by Staves or Wands (Stäbe), the element Earth is represented by Pentacles (Scheiben), the element Air is represented by Swords (Schwerter), and the element Water by Chalices (Kelche). 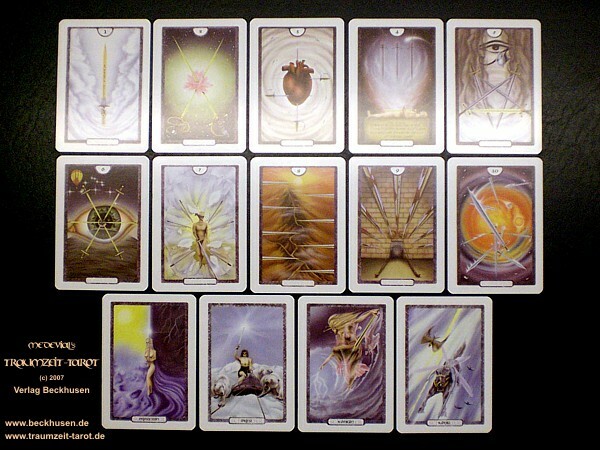 While the Minor Arcana typically symbolizes the (spiritual) unimportant minorities of life or also personal contacts or peculiarities, the Major Arcana is themed in important stations of the rising soul and the plan of personal life. In the TAROT this happens within a symbolic art-like representation of the different stages of development, beginning with the birth and ending in the return of the soul into the spiritual unity of all souls. 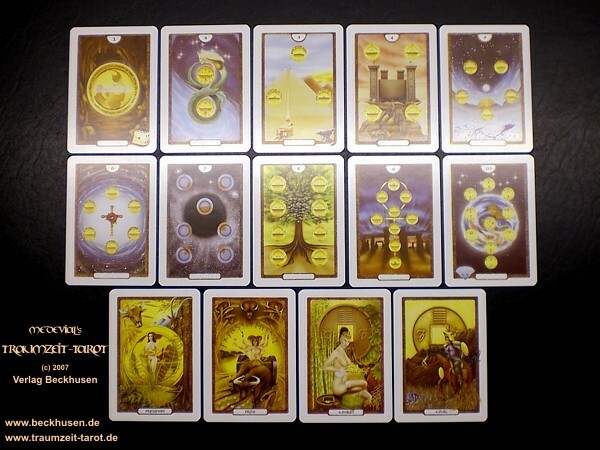 The major sense of the TRAUMZEIT-TAROT isn't the simple praying of future happenings, much more about this it's sense is the training of intuition. 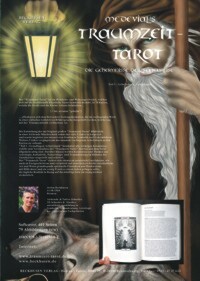 In this way the TRAUMZEIT-TAROT is a loyal companion of a part of the soul's endless way to a higher maturity. Intuition is trainable! A perfect intuition will save you of many dangers of the daily life. It's not a shame to stumble, but it will be a shame to repeat the same mistakes ever and ever again. Try to think a little bit like a little child! 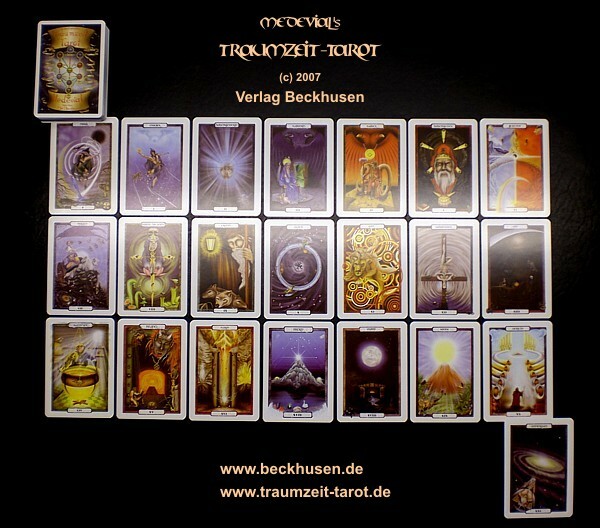 The pictures of the TRAUMZEIT-TAROT are held in a simple symbolic language of dreams. Experienced users will of course also be fitted by astological, cultural and intelectual essences. Every detail in this pictured oracle which making needed several years was thorough reasoned and planed. Forwarding costs are for allways 1 piece. If you want to order more than 1 please ask for the actual costs. 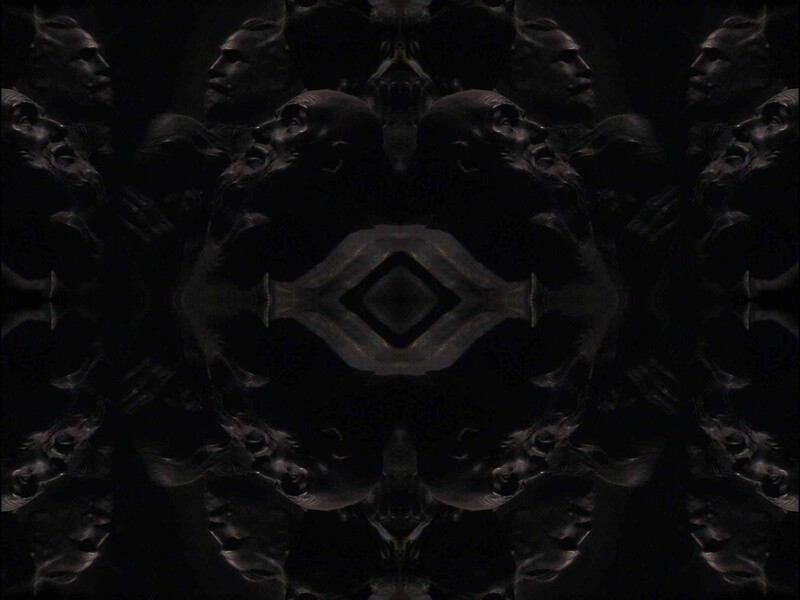 NO SINGLE-ORDERS for resellers! Please ask for our minimum purchase and Reseller/Book Trade conditions by email. For info and delivery we need a traders proof. Please include this. 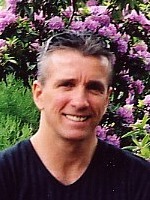 SINGLE-ORDERS are only priced with end-user conditions.